INVITE YOUR GUESTS TO JOIN YOU FOR AFTERNOON TEA! 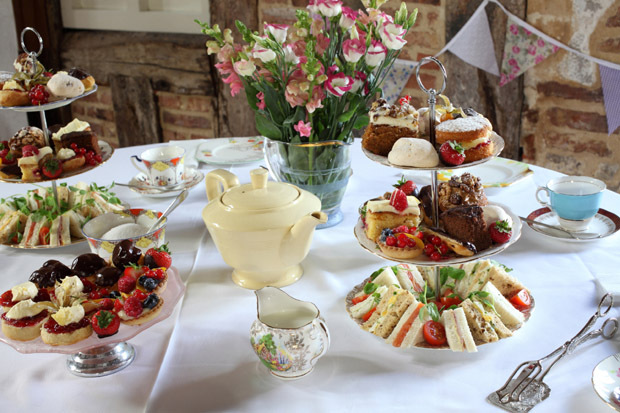 Why not celebrate your wedding with a traditional afternoon tea? Sophisticated and stylish it’s a classy way to start the party. With the tradition dating back to the early 1800s, afternoon tea is now served daily in London’s finest hotels – a treat that will set you back around £50 a head at the likes of The Savoy! And now brides across Norfolk and Suffolk are opting to borrow a little of the glamour of the capital’s top hotels for their own weddings. For vintage-loving brides afternoon tea is the perfect way to start married life – think pretty vintage china, tiered cake stands and proper tea. A chance to enjoy dainty sandwiches and freshly baked scones along with irresistible home-made cakes and dainties. However, finding a caterer willing to handle vintage china (it all has to be hand washed and replacements are pricey) can be a challenge. Until now. Expresso Café & Catering is a rare exception – boasting its own extensive stock of vintage china, delivered as a full professional afternoon tea catering package. A vintage one-stop shop combining delightful mismatched vintage china with a professional catering service. And because it’s your party, you can tailor the afternoon tea exactly to your own tastes. Consider upgrading with the addition of extra luxurious treats, or choose a high tea package with additional savouries. If space is limited consider serving afternoon tea from a dedicated ‘tea tent’, buffet or handed around informally ‘canapé’ style. Interestingly, when it comes to sandwiches, according to recent research from afternoontea.co.uk it’s the traditional afternoon tea sandwiches that remain the favourites. Top of the list was smoked salmon and cream cheese, followed by egg and cress. Also in the top ten were ham and mustard, cucumber and chicken – all top Expresso afternoon tea favourites. So if you really don’t fancy the thought of a full blown post-wedding meal (close-fitting wedding outfits can be rather restricting after all!) then why not indulge your guests by inviting them to join you for a traditional afternoon tea. "A big thank you for all your hard work ...the food was superb as usual and the timing was faultless." "A huge thank you for your wonderful catering yesterday. Everyone commented on how delicious the food and drink was and how well looked after we felt." "...a huge thank you to you and your fantastic team for making our wedding day so wonderful!! Everyone commented on how delicious the food was, thank you for all your hard work on the day to make it so special!"